The Merkel government approved a new law meant to mitigate radical Islamist attacks, by making it a criminal offence to travel abroad to receive military training. Civil rights advocates are furious. EURACTIV Germany reports. “We are amending our criminal law where it is necessary and useful,” German Justice Minister Heiko Maas said after the government signed off on a draft law to monitor the preparation for seditious acts of violence. “We will have one of the harshest criminal anti-terrorism laws in all of Europe. That will make Germany safer,” he ensured. In the future, leaving Germany to go to an area where a terrorist training camp is located will be punishable by law, if the trip is aimed at committing serious seditious acts of violence. “We must do everything we can to prevent Islamists from becoming more strongly radicalised in training camps,” Maas said. In addition, the government hopes to make terrorism financing an independent criminal offence. To hit terrorist organisations like ISIS at their core, the government pointed out, its financial sources must to be dried up. By strengthening these laws, the German government is implementing the UN Resolution “Foreign Fighters” from September 2014 and demands from the Financial Action Task Force (FATF). The amendments are planned to be approved by the Bundestag this summer. Agreement from the regions in the German Federal Council is not required. “The main goal of terrorists is precisely to undermine our rule of law and our democracy,” said Justice Minister Maas. “We will not allow that. The answer to terror should never lead to us making long-term cuts to our fundamental rights and our rule of law,” Maas emphasised. The Police Union (GdP) welcomed the stricter laws. “In doing this, politicians are sending a clear signal to the Islamist scene,” explained the federal chairman of the GdP, Oliver Malchow, in Berlin. Political opposition, meanwhile, is critical of the anti-terror package. “Here, we are really moving into the realm of concern over unconstitutionality,” said Katja Keul, the leader of the Green Party in the Bundestag’s Committee on Legal Affairs, speaking to n-tv.de. According to Korte, the draft law will not bring the citizens more security. 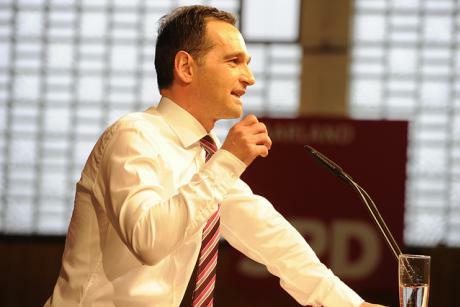 The Left party politician said there is agreement among experts that the move is useless and that a civil rights complaint at the German Constitutional Court is already to be expected. “Symbolic legislation, that pushes culpability of supposed or actual terror support further into a vague foreground, does not prevent attacks. It damages the rule of law at its core,” Korte said. “If need be, radicalisation and the threat of terror can be addressed by qualified security personnel, better equipment and international cooperation as well as in the long-term, primarily through prevention,” he contended. The draft law is disproportionate and only further expands area monitoring, which is already problematic and restrictive of fundamental rights, the Left politician continued. EU member states have reacted in different ways to the security threat highlighted by the Paris terrorist attacks, pointing to how difficult it would be to put in place a common European response to the challenge. There are terrorists in Greece, Spain & Ireland not to mention Mafia elements floating around, does this legislation refer to all nutjobs or just the ones with beards?